Oh gosh, I almost read that as “Monthly Mile High Club”! I must be tired! It’s a very good idea, I like it! I’m not sure I am up to the challenge mind you, but I will consider it for sure! I was a little worried that it might get read as that. Thanks for considering it. And Thanks for reading and commenting! Thanks for reading! I hope it works out. I haven’t used the website that’s hosting the challenge before so we will see how it goes. Thank you dear! I have a feeling I might need to use a different site to host the challenge but hopefully it will work out. Yes it is always good to get more active. I know they say that just walking for a little bit a day is really good for you. Thanks for commenting! Thanks for thinking about it! I’m just hoping it works out. I’ll admit I’m not sure if the activity tracker part of the challenge is even working right now. I’m trying to figure it out. You can always just download a free app and keep in your pocket or purse instead of buying an activity tracker. People can also just input their activity if you keep track of a walk or run. Oh my good luck with your pregnancy! I hope that everything goes well and that I can keep the challenge going for when you might be able to join. Wow that is quite an accomplishment for everday. I hope you would consider joining the club! Thanks for reading and commenting! We would absolutely love to have you join our club. Thanks for commenting! Sounds like a fab idea. I’m a lazy thing unless I have some kind of challenge or competition motivating me. Best of luck with it! In my eyes every goal counts no matter how big or small. It’s really just about being as fit as you possibly can. Thanks for commenting! We would love to have you. We would love to have you join once you are feeling better! I usually hope to work towards 3 miles a day but it is definitely not always possible. Thanks for reading and commenting. It is pretty easy to set up the Fitbit to the challenge and register. Hope you will consider it. Thanks for reading and commenting! Thank you! We are very small right now but I am hoping that it will grow as time goes on. Thanks for reading and commenting. Yes working together as a group to reach a goal is always helpful for me as well to stay motivated. I hope you will consider joining the club. Thanks for commenting. Thank you Franca! 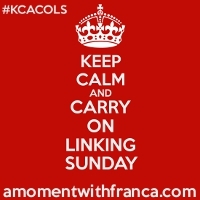 And thanks for hosting KCACOLS so I can get the word out. Thank you I am hoping that it will take off and be effective. Thanks for reading and commenting. Thank you so much for joining the club. I am so thankful to have another member of the group. Thank you and thank you for hosting Lets Get Real! Thank you for hosting #ForTheLoveOfBlog and sharing the love! I am definitely hoping it will help bring us blogger’s closer together as a community. Thanks for reading and commenting.